Deploying a REST service with Windows Communication Foundation (WCF) is great, because it’s very powerful, but it can also be enormously frustrating. First of all, start by reading the whitepaper. This will give you a great overview on how to construct your methods, and how to label them in order to have them exposed correctly by REST. Next, you need to create your web.config file. Use webhttpbinding for REST. I am posting a small demo project, hopefully it’s useful to someone. Simply implement the API interface as you see fit, and the rest basically does itself. You’ll notice the web.config includes a SOAP binding for legacy Microsoft clients to use if they wish. 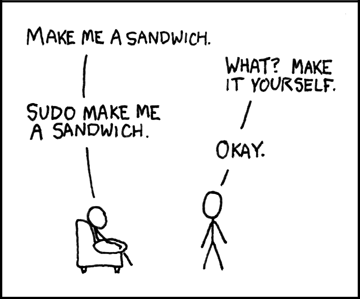 Tells the terminal to run the last command again, but to throw sudo in front of it. So you install mySql on your mac, and it’s working great, but then you go into terminal to run a mysqldump or something, and it doesn’t work! whoa, whoa, you say. what is this doing? It makes it so that when you type any command into the terminal, it does a check of these folders before giving you the “command not found” error. If you want to undo it, you can always edit your .profile, or just delete it. Assuming everything else works, this should solve your problem! Any good web designer knows certain characters have to be encoded in HTML. Bonus: Need to use some encoded characters in your PHP script? Use html_entity_decode() to turn them into regular text. Fun thing I found today: how to copy a whole pile of files/folders over from one place to another using ftp. Especially useful on two remote computers in terminal when security isn’t a concern!